The progressive “Make in India” campaign to turn the country into a global manufacturing hub has become a topic of debate among the economists worldwide. The campaign aims at empowering the country’s manufacturing industry through a set of fundamental changes. India’s manufacturing sector contributes about 16-17 per cent to the GDP. The Make in India campaign which was launched in September 2014 aims to increase the overall manufacturing share to 25 per cent by 2022.The vision behind this campaign is to put the country on the global manufacturing map and in turn, facilitate the inflow of new technology and capital, while creating a large number of jobs. Under this flagship campaign, the government has identified 25 sectors that have huge scope to draw foreign as well as Indian companies to manufacture in India. The campaign aims at accelerated and state of the art manufacturing and production. But this in turn needs requisite skills and technology and assured supplies of energy, none of which we can claim as our core strengths today in the globalised world as these were neglected in the past. Unfortunately, despite potential, manufacturing lagged behind due to myopic policies pursued over the years. Skill creation and technology development are essential for realising our vision of Make in India. It can provide employment to the aspiring "neo middle class" that has just emerged out of the poverty line through functional literacy and some access to capital to the rural-urban migrants for whom income from agricultural activity is not enough for a decent quality of life. As the drive gains momentum, speculations on how the job market will be impacted are also underway. There is a strong opinion building that India’s attempt to accomplish East Asia style manufacturing growth depends largely on employment generation and output. The government’s latest initiative has aroused positive sentiments in the minds of industry professionals. Union government is investing in various sectors that have been targeted in the campaign. The increase in investment will give a kick to the employment potential that lies in the sector. Professionals are expecting pretty robust job growth in the manufacturing industry for a protracted period of time. Currently, the Make in India campaign has been picking up momentum in areas of defense and electronics manufacturing. Industry experts opine that the move can certainly act as a catalyst for change. The medical device sector has been identified by the government task force as one of five key sectors which can be a driver for the ‘Make in India’ campaign. Additionally, manufacturing and employment opportunities are huge as this sector is import dependant of over 70 per cent. 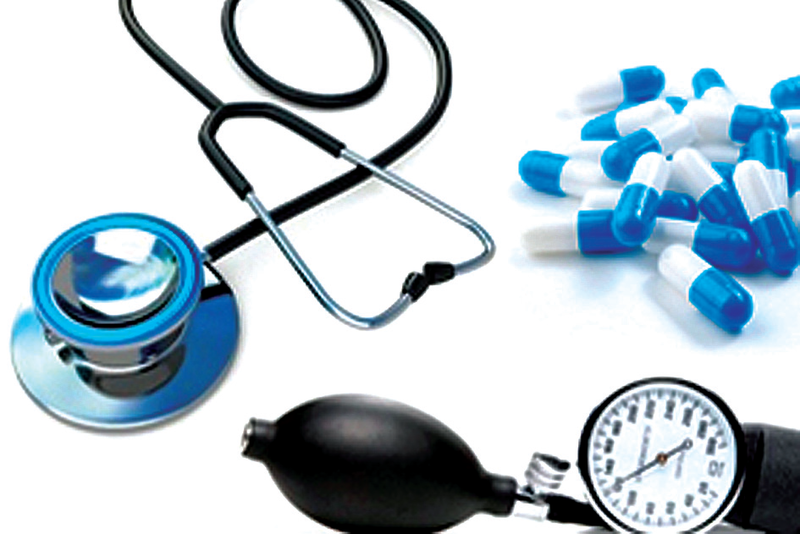 Moreover, within the electronic medical device segment the import dependency is almost 90 per cent. India is a smouldering cauldron of inequities, a rapidly developing economy with a very small super-rich class, fast expanding middle class and 22 per cent still under the poverty line. India has to talk health in terms of infant mortality rates (IMR), maternal mortality ratios (MMR) and life expectancies. India still imports around 80-85 per cent of its medical technology. With judicious plans and efficient implementation, the private sector and government need to work hand in hand as one team to make further progress and make India one of the global hubs of innovation and manufacturing in healthcare particularly medical technology. pharmaceuticals sector. The country also has a large pool of scientists and engineers who have the potential to steer the industry ahead to an even higher level. According to India Ratings, a Fitch company, the Indian pharmaceutical industry is estimated to grow at 20 per cent compound annual growth rate (CAGR) over the next five years. The Indian pharmacy industry, which is expected to grow over 15 per cent per annum between 2015 and 2020, will outperform the global pharmacy industry, which is set to grow at an annual rate of 5 per cent between the same period. Presently the market size of the pharmaceutical industry in India stands at US$ 20 billion. As on March 2014, Indian pharmaceutical manufacturing facilities registered with the US Food and Drug Administration (FDA) stood at 523, highest for any country outside the US. Indian pharmaceutical firms are eyeing acquisition opportunities in Japan's growing generic market as the Japanese government aims to increase the penetration of generic drugs to 60 per cent of the market by 2017 from 30 per cent in 2014, due to ageing population and rising health costs. India's biotechnology industry comprising bio-pharmaceuticals, bio-services, bio-agriculture, bio-industry and bioinformatics is expected grow at an average growth rate of around 30 per cent a year and reach US$ 100 billion by 2025. Biopharma, comprising vaccines, therapeutics and diagnostics, is the largest sub-sector contributing nearly 62 per cent of the total revenues. The Union Cabinet has given its nod for the amendment of the existing Foreign Direct Investment (FDI) policy in the pharmaceutical sector in order to allow FDI up to 100 per cent under the automatic route for manufacturing of medical devices subject to certain conditions. The Government of India unveiled 'Pharma Vision 2020' aimed at making India a global leader in end-to-end drug manufacture. Approval time for new facilities has been reduced to boost investments. Further, the government introduced mechanisms such as the Drug Price Control Order and the National Pharmaceutical Pricing Authority to deal with the issue of affordability and availability of medicines. Metro and Tier-I markets would make significant contributions to this growth, driven by rapid urbanization and greater economic development. Rural markets will grow the fastest driven by step-up from current poor levels of penetration. The hospital segment will increase its share and influence, growing to 25 per cent of the market in 2020. This will create ample opportunities for jobs in pharma and medical sector. India has enough fundamental strength that will help foster this vision. It can be concluded that the Pharma and Health Sector is set to catch the new heights of growth with a huge domestic market, technical expertise, plentiful natural and financial resources as well as a large pool of entrepreneurs who wish to contribute to Make in India. So, what should be the way forward? There is no doubt about the potential and opportunities this initiative possesses. But Indian manufacturers, foreign investors and the government will also have to focus very seriously on the risk side of the equation. All in all, a prerequisite for the success of this campaign will be assessing, understanding and working towards mitigating the road blocks. Last but not least, it’s important to ponder over the fact that does India only needs its manufacturers to make in India or also to make for India? Going by the current situation, the way forward should be low-cost quality devices manufactured in India for India. This will not only increase affordability and availability of healthcare products but will also eventually lower market prices for medical equipment. *The Government of India plans to incentivise bulk drug manufacturers, including both state-run and private companies, to encourage ‘Make in India’ programme and reduce dependence on imports of active pharmaceutical ingredients (API), nearly 85 per cent of which come from China. *The Department of Pharmaceuticals has set up an inter-ministerial co-ordination committee, which would periodically review, coordinate and facilitate the resolution of the issues and constraints faced by the Indian pharmaceutical companies. *The Department of Pharmaceuticals has planned to launch a venture capital fund of Rs 1,000 crore (US$ 154 million) to support start-ups in the research and development in the pharmaceutical and biotech industry. *Telangana has proposed to set up India's largest integrated pharmaceutical city spread over 11,000 acres near Hyderabad, complete with effluent treatment plants and a township for employees, in a bid to attract investment of Rs 30,000 crore (US$ 4.5 billion) in phases. Hyderabad, which is known as the bulk drug capital of India, accounts for nearly a fifth of India's exports of drugs, which stood at Rs 95,000 crore (US$ 14.3 billion) in 2014-15. Pharmaceutical and healthcare sector is likely to witness an over 20 percent growth in hiring this year and also expected to generate around 1,34,000 jobs according to the India Skills Report 2016. The pharma industry currently employs about 5.5-5.7 lakh people and has contributed significantly in creating a rich talent pool of researchers, scientists, doctors and project managers. This increase can be attributed to the initiatives by the government a good investment in the pharma, life science, and healthcare sectors is showing a positive sign. This sector is emerging as a popular choice amongst Gen Y, since the nature of work, primarily treating patients and research for new drug discoveries plays an integral role in meeting their key career aspirations. Furthermore, Indian pharmaceutical market size is expected to grow to US$ 100 billion by 2025, driven by increasing consumer spending, rapid urbanization and raising healthcare insurance among others. The Indian government has taken many steps to reduce costs and bring down healthcare expenses. Speedy introduction of generic drugs into the market has remained in focus and is expected to benefit the Indian pharmaceutical companies. In addition, the thrust on rural health programmes, lifesaving drugs and preventive vaccines also augurs well for the pharmaceutical companies.